The Food Alphabet and More: 40% off on your Mozzarella sticks this 4th of July at TGIFridays! 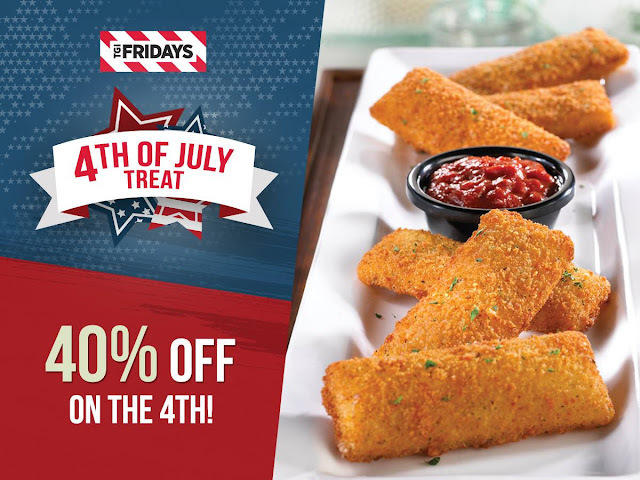 40% off on your Mozzarella sticks this 4th of July at TGIFridays! on the 4th of July! Get to enjoy TGIFriday's Mozzarella sticks at 40% off at TGIFridays! Celebrate it with friends with this 4th of July treat. Limit 2 orders per table and exclusive for dine-in only.